In just a few days’ time, the biggest T20 league is about to start. The 12th season of the IPL is here and all the fans are getting ready to witness some high octane T20 cricket. As always, it’s going to be great fun this season as all the eight teams look well placed before the start. There is not much to choose between all the sides and we could get to see a really tough competition this IPL. Even though this is an election year, the BCCI has done a great job in not shifting the IPL to any other country. They have managed the schedule so that the election dates in a particular place don’t clash with the match dates. Another thing about this IPL season is that the World Cup is scheduled just after the league. Due to the World Cup, many overseas stars will be called early for national duties. The absence of the star overseas players gives a chance to the young Indians to shine and make a name for themselves. There are a few international stars who won’t come to the IPL this year. Let us look at four such international stars who will be missed this season. Aaron Finch is one of those overseas stars who has played many teams. He has played for RR, PWI, DD SRH, MI, GL, and KXIP. He is one of the best T20 players in the international circuit. However, when it comes to the IPL, he has not been able to perform to his full potential. 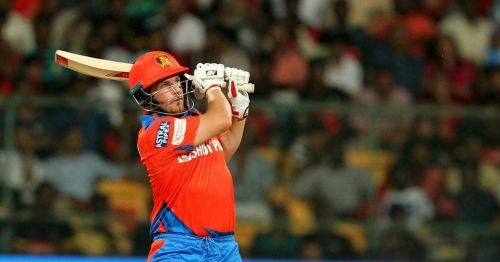 Finch has played 75 games in the IPL but still averages just 25.93 in the biggest T20 league. We all know what Finch is capable of in the shortest format. Finch has the top two scores in T20Is. Last year at KXIP, he was asked to bat in the middle-order which didn’t quite work in his favour. He too had a really poor season just like Maxwell and as a result, was left out of the side before the auction. Just like his teammate, Finch too did not register his name into the auction and so won’t be part of any team in the upcoming season. Fans want to see the best players of the format and so Finch will be missed in this season for sure. IPL 2019: Match 29, KKR vs CSK, Match Prediction: Who will win today's match?